No one likes when uploading a web page take long time. This is often due to the fact that the website resources are heavy, including big sizes of images. As a result, navigating on the website becomes very slow. It is one of the most common reasons a visitor is prompted to leave your site. In fact, this problem can be easily overcome, using image compression tools. It allows to reduce the size while maintaining the high quality. Among these tools, we find 'Squoosh'. It is a tool provided by Google. It is a fast when it comes to reducing images size along with keeping the high quality. To get started, you need to drag a picture image to the 'Squoosh' page or, upload it using the file selection window. When a picture is open, you can modify it by changing settings in the in the lower right corner. There are also options to resize images and convert them to different formats. All the changes can be seen directly, you can evaluate their impact on the original image by moving the medium slider. 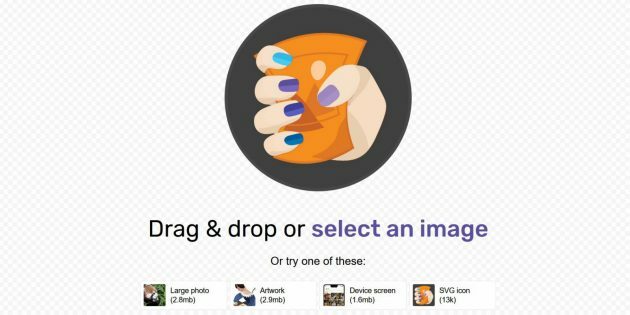 Squoosh is an online service that works in any modern browser on your desktop and mobile devices. You can access this service here : Sqoosh.